Be the first to hear about their new releases and deals. Download the Booksprout app and search for A. Wayne today! Hello! 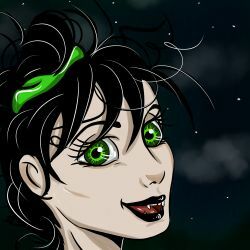 My name is Alexa Wayne the OCD vampire that writes creepy stuff and the founder of Gothic Bite Magazine. I’m a paranormal nerd who enjoys legends and folklore from ancient origins dating back to the Dark Ages where most of the monsters were born. Since a young age, I was attracted to dark and what my eyes could shape in the night. I remember looking right into the darkness of my bedroom and see shapes of people passing by. I wondered who they were, some tall, others shorter, families maybe? When growing up, I’ve always dreamed to be an author. I first looked up to R.L. Stine when in third grade I read the series of Goosebumps and then made the switch to my hero, Stephen King. I read his classics, some other of his work and dreamed of the day I could meet him to say, “Thank you for making horror amazing.” A dream of mine I still hope to achieve. Then, one night I decided it was time to create a magazine for those like me who enjoy the monsters and not necessarily the fashion. I wanted to create a safe place for those that enjoyed legends and folklore about creatures like vampires, werewolves, Bigfoot and ghosts! It was time for Gothic Bite Magazine to see the light of, um, night. Today, Gothic Bite Magazine is a spooky success, and I couldn’t be prouder of my writers and what I accomplished as an author.